Here are some tips to inspire you with original venues and activities for you to consider for your next Italian event – whether it is a wedding, corporate meeting, family & friends’ reunion, or foodie event. Be surprised by its ever-changing, mesmerizing landscapes… from pristine exotic beaches to rolling hills to the ski slopes of Mount Amiata. In 2014, Porto Ercole was listed as one of the Most Beautiful Villages of Italy: explore the charming harbor overlooked by a dramatic Spanish fortress. 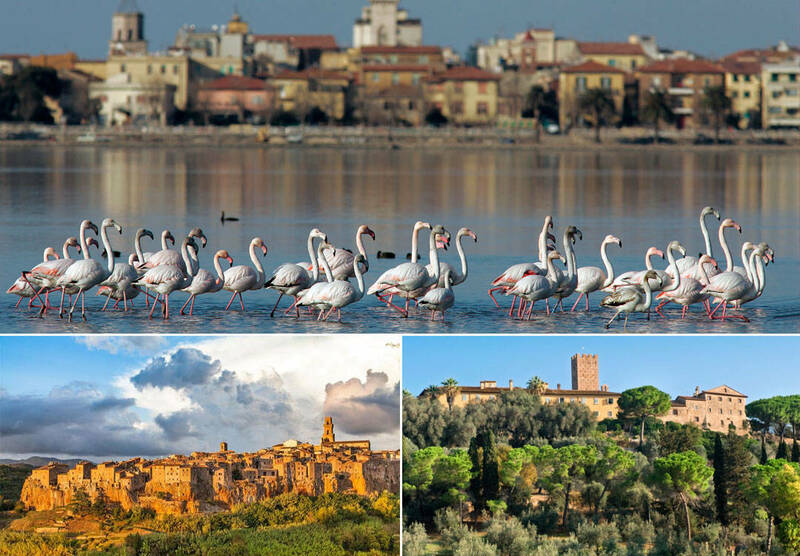 Nearby is the wild Orbetello Lagoon with constantly changing colors, a WWF-protected nature reserve and a lively town. 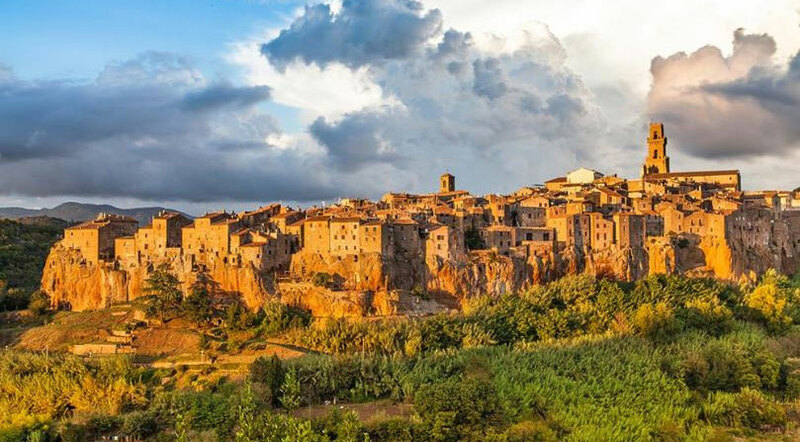 Inland, the villages of Pitigliano, Sovana and Sorano are perched on and carved in tufa rock, providing a fairytale landscape and ancient archaeological parks and Etruscan necropolis. Maremma is the ideal place for nature lovers, and is best explore on foot, bike, boat and horseback. One of our favorite partners for unforgettable sailing tours and original excursions in the Maremma countryside is Argentario Lovers. We have selected three opposites that represent Maremma’s unique spirit. Tenuta Marsiliana is a historic castle and wine estate in the countryside owned by the Corsini family since 1759. Today it is run by art-lover Princess Giorgiana. Read ISO’s interview with her to uncover some of the secrets of this breathtaking venue, which also offers a chapel and traditional cooking classes. Argentario Golf Resort & Spa is unique in rustic Maremma: it is a contemporary design hotel featuring modern architecture and décor. Yet, it blends with the surrounding coastal nature on the rugged Silver Coast. An unexpected venue that will entertain any wedding guest: 18 panoramic golf holes, topnotch wellness center and spa, gourmet restaurant offering bio-cuisine and original cookery courses. Borgo degli Ulivi is an amazing guesthouse hidden among the olive trees, offering breathtaking views of the Silver Coast. An intimate location that seems almost like a mountain refuge by the sea! Delight your taste buds with intense flavors: the region’s cuisine is the result of cultural blending between Greeks, Romans, Arabs, Normans, the Spanish and the French throughout centuries, and local wines have a distinctive taste brought by the Mediterranean Sea and the volcanic land. Vineyarding is an authentic activity that we at ISO have conceived specifically for wine & food lovers. 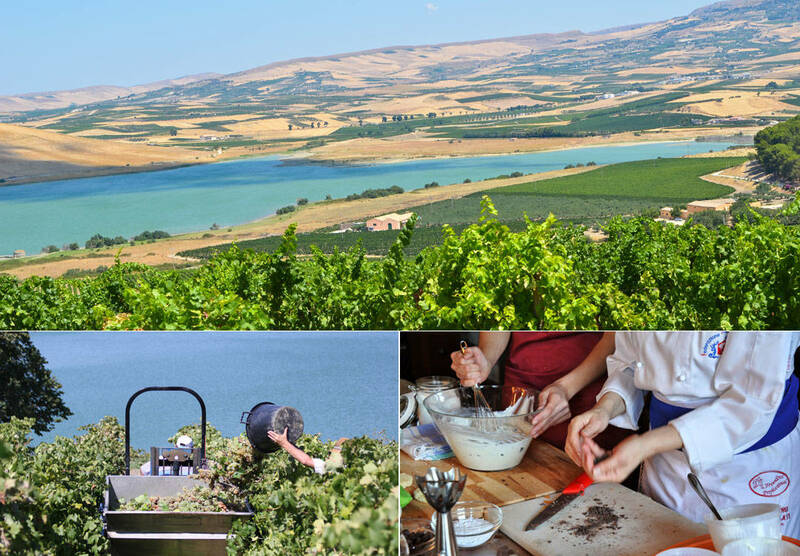 It allows you to explore the theme of “Sicily between noble families & noble wines”, visiting different historic families and their estates, learning about their territory, traditions and background (read more about Vineyarding). Other authentic activities include cooking classes through storytelling; and visiting pottery workshops, to ancient stone mills and herbal laboratories. Whether you have Sicilian ancestry and want to explore your roots, or you are simply looking for the perfect location for an unforgettable event with your loved ones, the warmth and uniqueness of this island will bewitch you and your guests. Gourmet lovers will discover the ultimate foodie heaven! Different selected partners can introduce you to the magic world of vineyarding, but we have chosen one that can give you a 360-degree view of Sicily. The Planeta’s are an ancient family of Spanish origins who have played a leading role in Sicily’s agriculture for 18 generations. Their modern-day estate stretches over six different territories across the island, with about 400 hectares of vineyards (read more about the Planeta Estates). 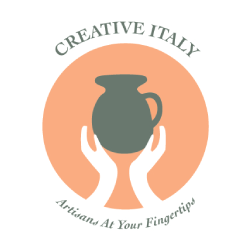 At the Cotumè cultural association you can learn about the history of Sicilian recipes through entertaining storytelling… and get you apron on for an unforgettable cooking lesson! Breathe the fragrance of history across the hilltop medieval hamlets; smell the fossil forest of Dunarobba with its petrified trees that are more than two million years old; inebriate yourself with the distinctive aroma of seasonal produce such as mushrooms, wild asparagus and truffles. Get off the beaten path and visit La Scarzuola, a surreal and esoteric “Ideal City” designed by Tomaso Buzzi: you will be amazed by its strange collection of fantastical buildings! Rent a canoe and row through the placid, silvery waters of Lake Trasimeno and its three islands. Join local truffle hunters in the search for the prized produce, and learn about their traditions. 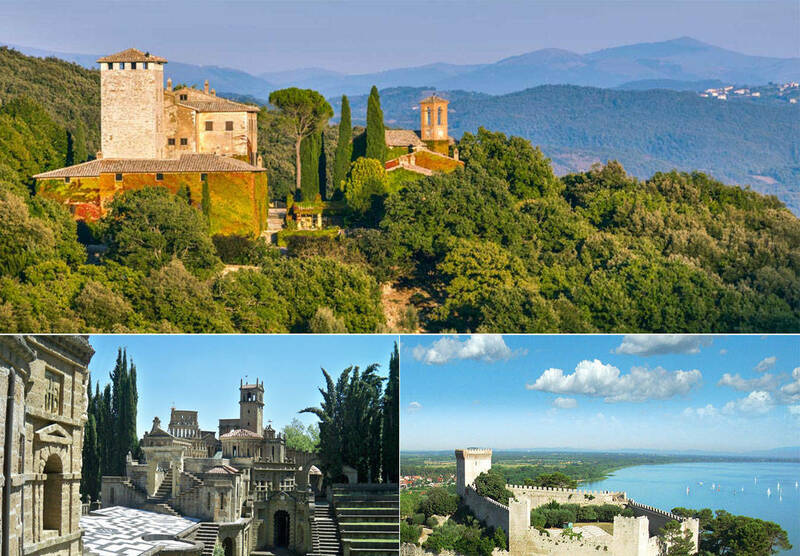 Visit the unspoilt gem of Montefalco and its surrounding wine estates, famous for the complex DOCG Sagrantino red wine. Beautiful historic properties provide a relaxing setting for successful business meetings, and there is really no shortage of ideas and activities to be enjoyed in the heart of Italy. Among our favorites? The ultimate teamwork test, called orienteering: participants must use their navigational skills to move around the unfamiliar terrains in the Sibylline Mountains National Park! Thousands of hectares of immaculate woods and olive groves, picturesque valleys and rivers, and one of the most exclusive private country estates in Italy: Tenuta di Murlo is the perfect place for an unforgettable event. Its origins date back to two millennia ago, when it was a mountaintop fortification! Autumn offers a spectacular pattern of nature with a triumph of reds, yellows and browns in the surrounding landscape. Did you enjoy this post? Sign up to receive our seasonal newsletters (4 per year) – no spam, only curated tips!